These days West Pittston native Bob Thornton is the greenest man in Delaware. No he’s not envious or sick. 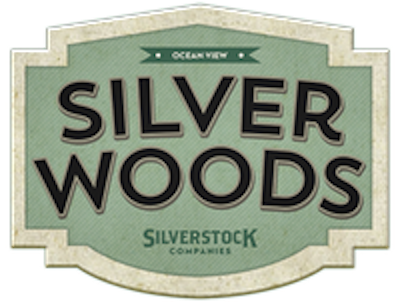 He’s the developer of Silver Woods, a housing development at Ocean View, Del., near Bethany Beach, which is the site of the first home in the nation to be designated a Gold Certified “green” home by the National Association of Homebuilders (NAHB). Thornton has become something of a celebrity in Delaware, and nationally among home builders, since the gold certification. He and the home have been the subject of local newspaper stories and a front page story in the state-wide Delaware News Journal. He was interviewed on television. Thornton was officially honored by Delaware on Friday, August 1, when the state proclaimed “Green Day” at Silver Woods. The state’s only Congressman, Mike Castle; State Representative, Gerald Hocker; Secretary of the Delaware Department of Natural Resources and Environmental Control, John Hughes; other dignitaries and members of the press visited Silver Woods and toured the green home. Hocker presented Thornton with a proclamation from the House of Representatives commending him for his commitment to green development. So-called “green initiatives” in building are often associated with the political left, but Thornton – a self-described Regan Democrat who believes “the answers lie in self reliance and the private sector; not with big government” – rejects that. Thornton said a green home isn’t a futuristic looking building covered with solar panels. The Gold Certified home looks a lot like any other home in a new development. Its gold certification comes from innovative details. The home in Silver Woods was scored on seven categories for certification: lot design, preparation and development; resource efficiency; energy efficiency; water efficiency; indoor environmental quality; operation, maintenance and home-owner education; and global impact. The home scored 480 points, almost 100 more than the 385 needed for a gold certification. In lot design, Thornton scored points for wooded nature trails and ponds stocked with “Gambusia” fish to help keep the mosquito population in check without chemical spraying. The house scored points in resource efficiency for separating cardboard, wood and metal waste for recycling onsite, and reusing the trees that had to be cut. They went to a sawmill to be cut into lumber for future construction at Silver Woods. The waste was ground into mulch for landscaping. The house scored 109 points in this category. The house scored for water efficiency for an intellisensor, an irrigation control panel that’s connected to weather satellites so sprinklers won’t run when rain is on the way. One of Thornton’s favorite innovations, as he puts it, is that all Silver Woods homes will be “future-proofed.” That means the homes are pre-wired to accommodate future solar panels or wind-power devices, so owners won’t have to go back and upgrade as technology advances. 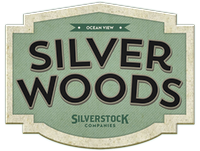 Green is doing well at Silver Wood, a projected 350-home, 131-acre development, even in a down real estate market. Thornton closed on seven homes on the first 25 lots. Thornton is an alumnus St. John’s High School (Seton Catholic), ’73 and King’s College, ’78. He moved to the Phoenix, Arizona, area where he started a Silver Supply Business in 1987, which took him on business trips all over the Southwestern US, Mexico and Italy. The business evolved in jewelry manufacturing. He moved to Delaware and opened the Bethany Beach Silver Shop in 1994, which he still operates with his wife, the former Brenda Favata originally from Old Forge. Once established in the Bethany area, Thornton began buying land parcels without sewer infrastructure and learned to design and build alternative wastewater treatment facilities. Raw land development was his true love, he said, though he eventually wound up in home building. Thornton, 52, still stays connected to his old hometown West Pittston, where he owns one of the borough’s last undeveloped commercial properties, the site on Exeter Avenue where Doc’s Sports Bar used to be. Bob is the brother of West Pittston council president Brian Thornton. Bob has even brought a touch of home to Silver Woods. The wall at the development entrance is finished with stone from an old wall on a 60-acre farm he owns in Harding. He hauled the stone from the Harding to Silver Woods and finished the wall with it, doing most of the work himself. He did so for a good reason: Delaware has no stone. “If someone finds a stone on the ground in the Southern Delaware Beaches Area, someone put it there,” Thornton said with a laugh. For more information about Silver Woods and links to green building information and details about how the green house was scored follow the links from www.silverstock.com.